^ Mariod, Abdalbasit Adam; Mirghani, Mohamed Elwathig Saeed; Hussein, Ismail Hassan (2017-04-14). 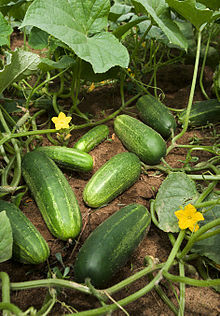 Cucumis sativus, Cucumber; Chapter 16 in: Unconventional Oilseeds and Oil Sources. Academic Press. ISBN 9780128134337.